Road to Reinvention is unlike other conferences. 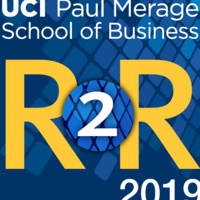 We bring together experienced executives, technology leaders, and the latest academic thinking with one goal: to help you navigate the road ahead. We have planned an exciting day of thought-provoking conversations with leaders and luminaries. Learn how incumbents are reinventing and startups are rapidly scaling to disrupt; what AI and blockchain can do for your business and ways to manage their risks; and how you can acquire the necessary competencies to drive change when skills are scarce.